Exterior Dimensions: 7.96" x 2.5" x 1.25" |Interior Dimensions: 7.5" x 1.96"
You've bought the new iPad Pro, a brand new case to protect it, and all theaccessories you could ever need. There's just one thing you forgot: a case tohold all those accessories! Rather than rummage through bulky bags or leavingyour peripherals strewn about your desktop, get organized with an HDE HardShell Case for the Apple Pencil. 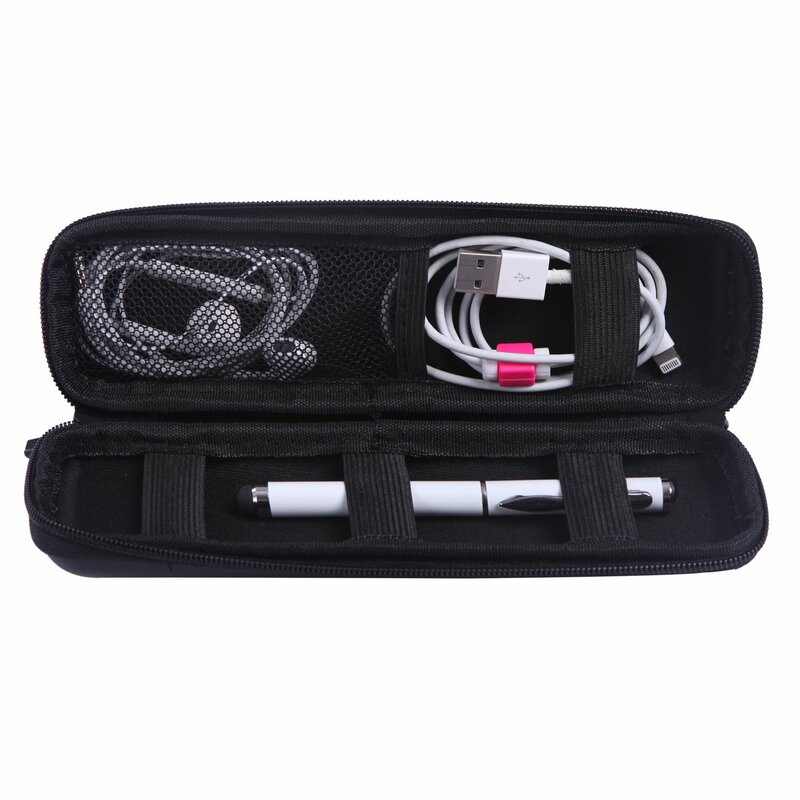 This case comes with plenty of space to store your Apple Pencil as well asother belongings such as markers, pens, pencils, earbuds, and charging cablesin one convenient space for organizational ease. The struggle doesn't have tobe real with a handy case for all your iPad-related belongings. With all of your belongings in one place, you need to be sure they won't spillout during transport. With an HDE Apple Pencil Case, you can be sure youraccessories will remain safe from dirt, dust, and daily wear thanks to adouble zipper enclosure that secures all the items inside for easyportability. "Durable," "compact," and "utility" are just a few words that can be used todescribe this Apple Pencil case. Manufactured from safe and long-lasting EVAmaterial, this case provides an added bit of toughness to protect yourprecious items. Mesh pockets line the upper half of the case for addedorganizational capability and elastic straps will keep your earbuds orcharging cables from coming untied during transport. Have you ever heard the expression "big things come in small packages?" Ofcourse you have! Well, this small package can store a huge assortment of youreveryday belongings without taking up a great deal of added space in yourbriefcase or carryall. Dimensions: Exterior: 7.96" x 2.5" x 1.25" Interior: 7.5" x 1.96"